Escape Bangkok for the day, and take a visit to tranquil rural Nakhon Pathom. Meet your tour group at Hua Lamphong to board the train. 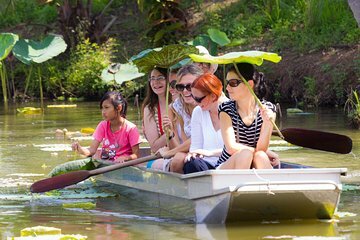 Get to know the Thai riverside community as you float on a traditional long-tailed boat down the Mahasawad Canal, stopping at plantations, factories and orchards to sample the best of local products.